The Fool Game - Download and Play Free Version! Explore a beautifully crafted world and slay a dragon! Hear ye! Hear ye! The peaceful kingdom of Dragonfang has been under attack by a most fearsome beast, a winged and fire-breathing dragon! Good citizens live in fear and avoid stepping outside of their homes. Even the bravest of soldiers quake in their boots at the sight of the beast. Many have been called to slay the monster, but none have succeeded. Will you be the one to finally change that? Will you be the hero in the kingdom’s darkest hour? Unfortunately, you’re not a mighty knight in shining armor. Nor are you a cunning ranger with a keen eye and quivering bow, or a learned wizard who has mastered the elements. You’re just some grass-chewing fool who would not know the sharp end of a sword if it stabbed you in the back. In fact, you don’t even have a sword! All you’ve got is a stick, an owl, the clothes on your back, and your wits, assuming they count for anything. You know, since you’re a halfwit and all. But the king of Dragonfang will take whatever help he can get. Should you actually succeed in your quest, a bountiful and non-negotiable hero’s reward will be yours! The princess will become your lawfully wedded wife, and you'll get half the kingdom to boot! If you fail, well... at least the dragon will go to sleep that night with a full stomach. 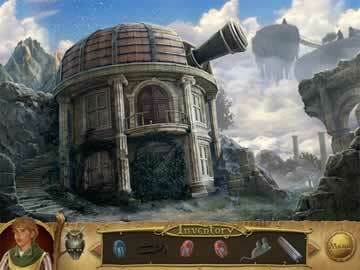 The Fool gives you a point-and-click adventure game like no other! Explore, interact with people, collect items, trade, and use the environment to your advantage! Grow a mandragora plant, brew a sleep potion, pick locks, repair a gate, gather a full suit of plate armor, and more! There’s no shortage of tasks to complete. 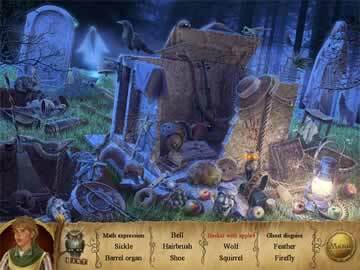 Solve the wide variety of mind bending puzzles and mini-games that await you, from riddles to scavenger hunts. Should you ever find yourself well and truly stuck, never fear! An in-depth hint guide from your trusty owl companion is available and always ready to assist you! Enjoy a hilarious story, complete with snappy dialogue, quirky characters, strange lands, and unexpected twists. Run through the colorful streets of Dragonfang, brave the darkness of Mortenland, witness the industrial advances of Steam City, and gawk with amazement at the majesty of Skyline. Gorgeously drawn graphics and smooth atmospheric animations make you feel like you’re a part of the world! With five chapters to complete, The Fool provides hours of entertainment, and is sure to bring a smile to your face just as often as a furrow to your brow as you concentrate. 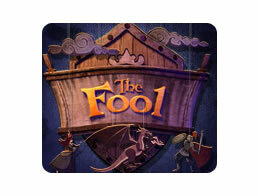 Step into the shoes of the Fool and become the most unlikely hero today!